I've got some (to me!) exciting news that I am thrilled to be able to blog about: new workshop dates including in New Zealand and the US. Its been great running the summer workshops here, as well as the webinar last month, so its great to already have some new dates to share. Then we have a seminar/workshop at Writtle College in Essex on 9th February 2019. This will be open initially to students but there may be spaces available for non-students. Contact Cloe Lambert for information and to book: cloe.lambert98@outlook.com. 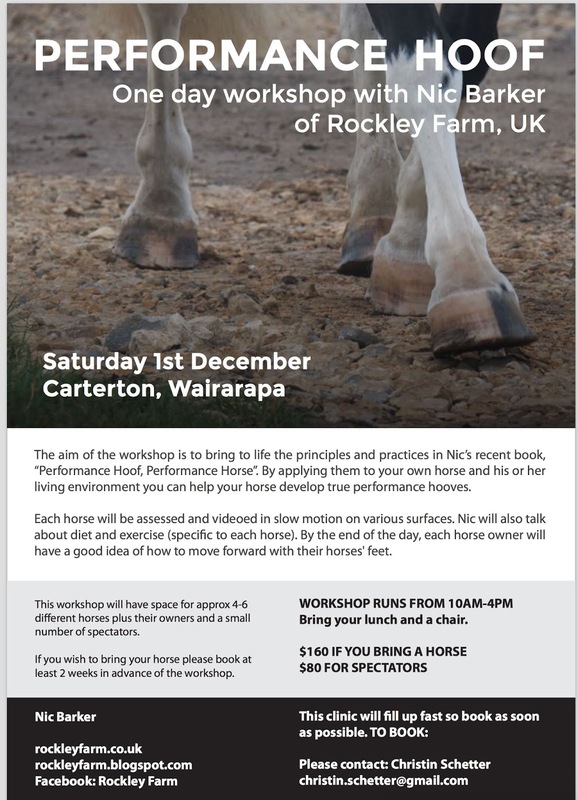 Finally for now, there is a workshop in Aberdeen on 18th May 2019; contact either Julie Bradbury - juliejcb@hotmail.com - or me - nic@rockleyfarm.co.uk for more information and to book. I know its early days but I have had queries from a number of people about running workshops on their yards or local area so if you would like to host a workshop for 2019 do get in touch. 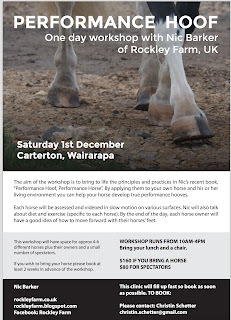 I’m looking forward to attending your clinic December 1 at Carterton, NZ.